If you are looking to cut carbs, but still want to enjoy things like pancakes, try this pancake recipe that will cut your carbs down as much as 50% during breakfast. 1. Mash banana in a bowl and add in the egg and egg whites. 2. Stir until the mixture fully combines. 3. 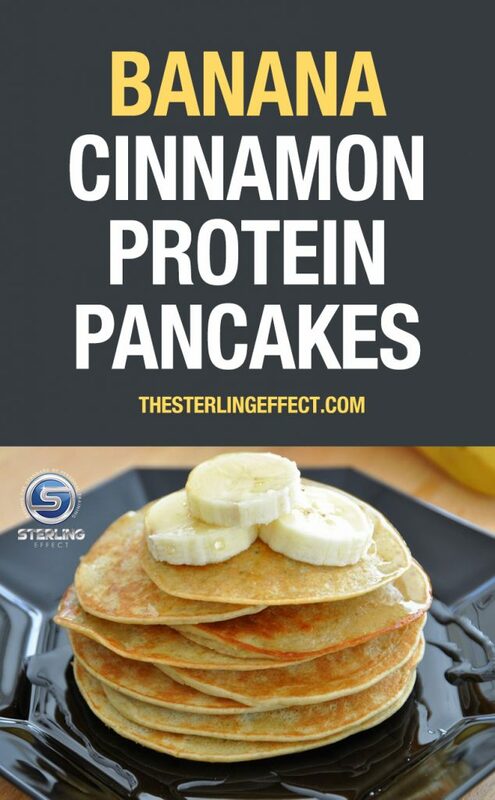 Mix in greek yogurt, protein powder, and a pinch of cinnamon. 4. Preheat a frying pan with non-stick cooking spray on medium heat and scoop 1/4c of batter onto pan. 5. After pancake browns, flip over and repeat. 6. Top with bananas or any fruit of choice. 7. Optional to use syrup of choice. Terrance Sterling is a 1994 Central High School graduate and a 2006 Southeast Missouri State graduate with a BS Exercise Science Degree. Terrance played division 1-AA football for SEMO from 1994 through 1998. He battled injuries throughout his football career but was primarily a starter for SEMO. After earning his Exercise Science Degree, Terrance went on to coach track and football for eight years. Terrance and his wife, Stacey, own The Sterling Effect in Cape Girardeau and offer personal training to clients locally as well as virtually around the world.